Adelphi's Rooftop Pool is ready for summer. January 10th to February 28. Enjoy summer cocktails and select from menus designed to graze away the afternoon, as you and your friends lounge amongst the laneway building tops of Melbourne. 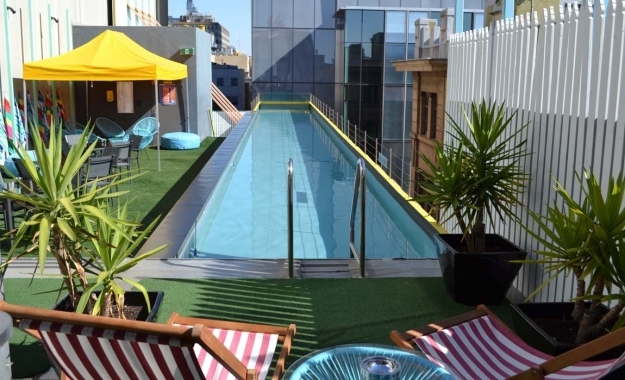 Cool off in Adelphi's iconic lap-pool that hangs daringly out over Flinders Lane and relax to the soundtrack of summer afternoon tunes. Open 12pm - 6pm, tickets $30 includes a refreshing Pimms, something from the BBQ and afternoon in one of Melbourne's only rooftop pools. Tickets available til sold out.